Wang Jianlin has an estimated net worth of $19.3 billion as of March 2019. Wang Jianlin is a successful Chinese entrepreneur who currently serves as the Chairman of Dalian Wanda Group. He became the general manager of the company in 1992 and since 1993, he has been serving as the Chief Executive Officer. He also serves as the Director and Executive Deputy General Manager of Jiangsu Jiangnan Water Co.
His assets and properties include 49 Wanda Plazas, 86 cinemas, 26 luxury hotels, 45 karaoke centers, 40 department stores, and a 9.03-square meter investment property. 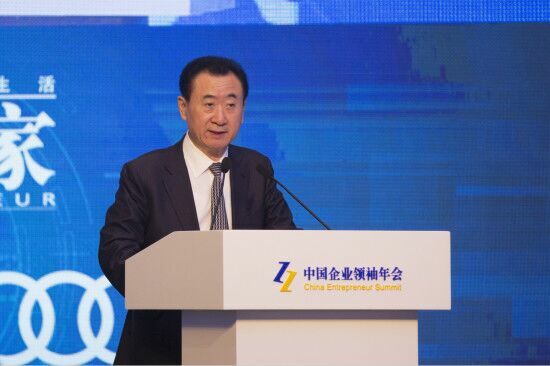 Wang Jianlin dreams of making Dalian Wanda Group a world-class enterprise by increasing its assets to $48 billion and its income to $32 billion from $17 billion. The below financial data is gathered and compiled by TheRichest analysts team to give you a better understanding of Wang Jianlin Net Worth by breaking down the most relevant financial events such as yearly salaries, contracts, earn outs, endorsements, stock ownership and much more. Wanda Group's acquisition of Wanda Culture Travel Innovation Group and Wanda Hotel Management Co.